by Tommy Donbavand, Cartoon Saloon Ltd. When Luke Watson turns into a werewolf for the third time, the Government Housing of Unusual Lifeforms (G.H.O.U.L.) 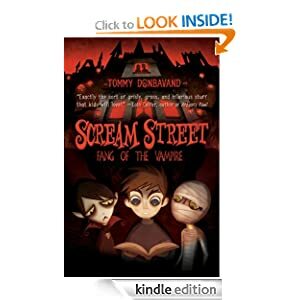 moves his family to Scream Street - a frightful community of vampires, zombies, witches, and sundry undead. Though Luke quickly makes friends, he vows to find a way to take his terrified parents home. The secret to opening the exit, he learns, is collecting six powerful relics the founding fathers left behind. But with a sinister landlord determined to thwart Luke at every turn, will he even get past the first hurdle alive? Fang of the Vampire or to sample this book for FREE! -- Soul mates from the past leave their love unfinished when a tragic accident ends their lives on their wedding day. Yet they are destined to meet again to fulfill that love in new incarnations, leading vastly different lives. Emma thought she chose the right path in life, but too late does she realize her mistake when her husband reveals the monster behind the smile. Their happily ever after - is a lie. Trapped in a broken marriage to a powerful, abusive man, Emma knows this is not the life she was meant to live. As her hope for real love withers, she meets James, her love from a lifetime ago. Emma cannot deny the connection pulling them together, but her courage to abandon her marriage wavers, and unknowingly puts her life on the line. Are Emma and James fated to fulfill their love, or will they once again, leave love unfinished? 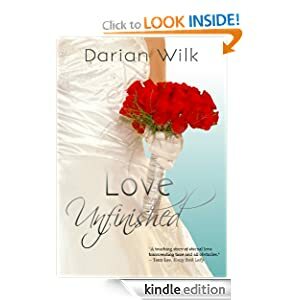 Love Unfinished or to sample this book for FREE! -- Three women, three birthdays and one unforgettable night that will change their lives forever. One night in San Francisco, three women make a birthday wish believing it can't possibly come true. Liz is turning thirty. A successful nurse, she has a good career, but no man to share her life. All her friends are married, and she's alone, still trying to outrun a tragedy from her past. Then she meets a handsome stranger. Angela, a member of a large, loving Italian family, is facing thirty-five with no baby in the nursery. Eight years of infertility treatments have put a strain on her marriage. Will she have to choose between her husband and having a child? When she is mugged by an unexpected assailant, her life takes a new turn. Carole, a corporate wife, is staring down forty candles. Having grown up poor, she worked hard to get ahead, but when her kids bail on her birthday, and she discovers her husband with another woman, she realizes that she may have nothing at all. She goes back to where it all began, the mother she left behind, and the man whose heart she once broke. 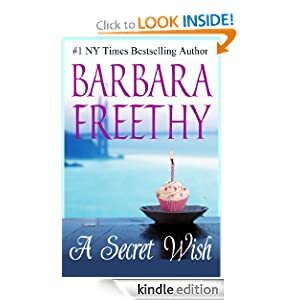 A Secret Wish or to sample this book for FREE! -- When second son Alexander Valentine loses his brother to an assassin’s arrow, he discovers that his family protects an ancient secret and reluctantly finds himself at the center of the final battle of a war that was supposed to have ended two thousand years ago. Pursued by the dark minions of an ancient enemy, Alexander flees to the mountain city of Glen Morillian where he discovers that he is the heir to the throne of Ruatha, one of the Seven Isles, but before he can claim the throne he must recover the ancient Thinblade. Seven were forged by the first Sovereign of the Seven Isles and bound to the bloodline of each of the seven Island Kings in exchange for their loyalty to the Old Law. Each sword is as long as a man’s arm, as wide as a man’s thumb and so thin it can’t be seen when viewed from the edge. 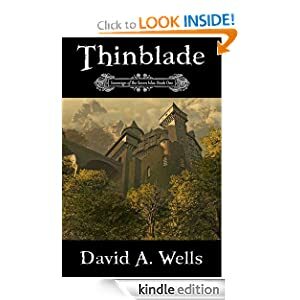 Thinblade is the story of Alexander’s quest to find the ancient sword, claim the throne of Ruatha and raise an army to stand against the enemy that has awoken to claim dominion over all of the Seven Isles. Thinblade or to sample this book for FREE!